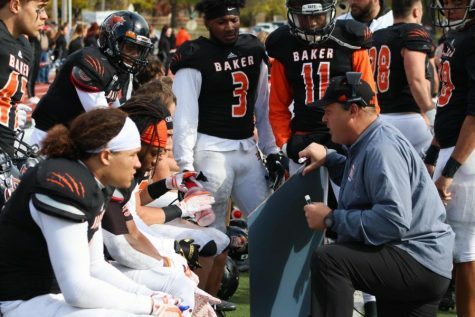 Baker University head football coach Mike Grossner was not pleased with how the referees called the most crucial play of Saturday’s game. 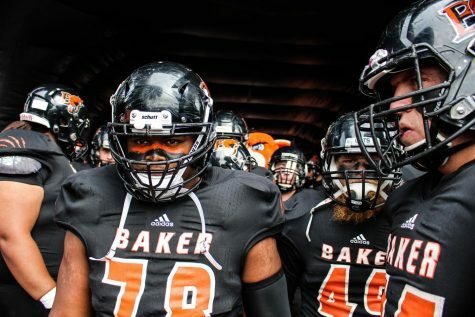 Still, after two penalties called against the Wildcats on the University of Saint Mary’s two-point conversion attempt, the Spires were unable to convert, sealing the 41-40 come-from-behind victory for Baker. 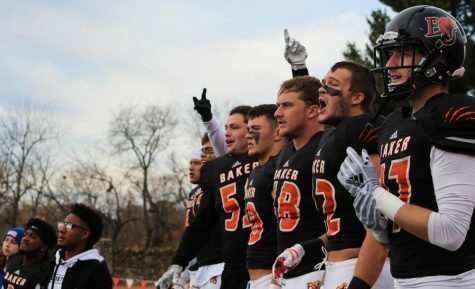 “Luckily, our defense had a lot of character after giving up 40 points, and they decided from the 1-yard line that they weren’t going to give in,” Grossner said. 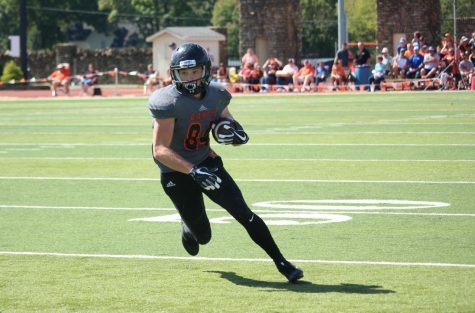 Several plays were made by the defense and special teams, including a pick-six from junior cornerback Duane Sims, a 55-yard field goal by freshman kicker/wide receiver Clarence Clark and an 88-yard punt return touchdown from junior Camren Tornaden. In addition to his special teams contribution, Tornaden made his mark from the backfield while providing relief for an ailing Dillon Baxter. Tornaden rushed for 66 yards on 15 carries, including a nine-yard touchdown to give the Wildcats a 41-34 lead. “He got some rust off last week, he ran hard but you could tell he hadn’t played in a few years. Dillon was hurting today, so Camren had to step up,” Grossner said. Josh Ervin, the freshman quarterback for the Spires, was 31-43 for 384 yards and five touchdowns. The University of Saint Mary offense put up 511 yards of total offense, almost 200 yards more than the Wildcats. 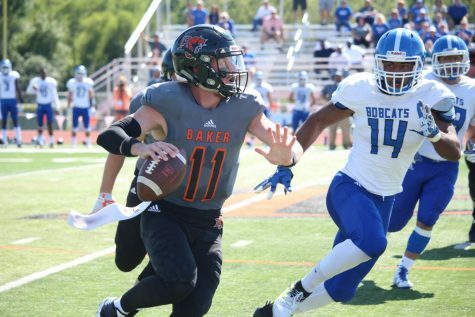 Grossner was unimpressed with his team’s tackling in the first half and thought that the Wildcats regressed in certain areas from the previous week’s win over Ottawa University. Senior quarterback Jake Morse went 16-28 for 177 yards and a touchdown, as well as an interception. 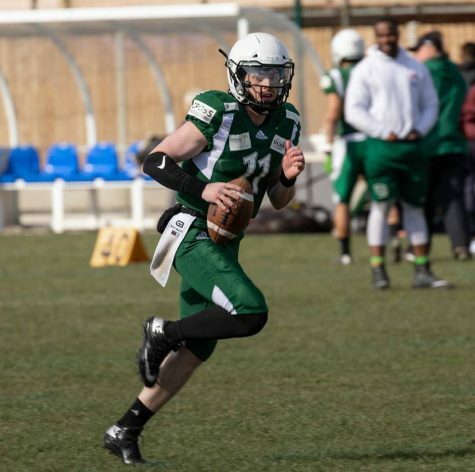 But he came up big late in the game, connecting with Clark for a touchdown to tie the game at 34-34 in the fourth quarter. The win helped the Wildcats jump from No. 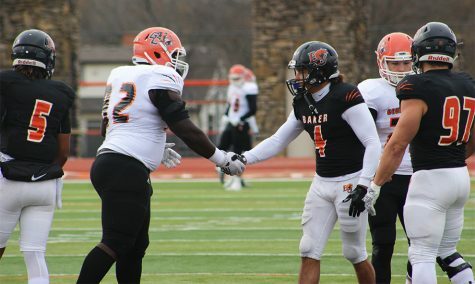 15 in the NAIA coaches’ poll to No. 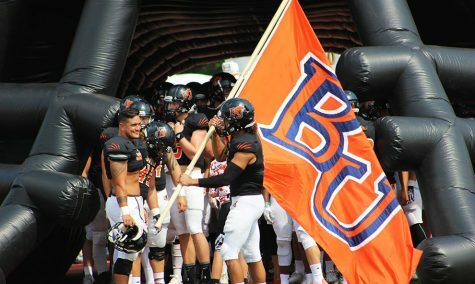 8, pushing BU ahead of the other Heart of America Athletic Conference teams. It also marked the second game in a row for the Wildcats decided by a single point. Tornaden said the resilience comes from the team’s personal camaraderie. “We’re like a family, and we love it, and we want to get there and get a ring,” he said.